Over 50 young agri-leaders from three continents gathered at the Agriterra Youth Leadership Academy. Together with the NAJK and NCR we developed a program focused on leadership skills, lobbying, pitching and cooperative communication. We thank all participants for the inspiring and enthusiastic participation in this wonderful day! You can find all the pictures of the event via this Facebook link. 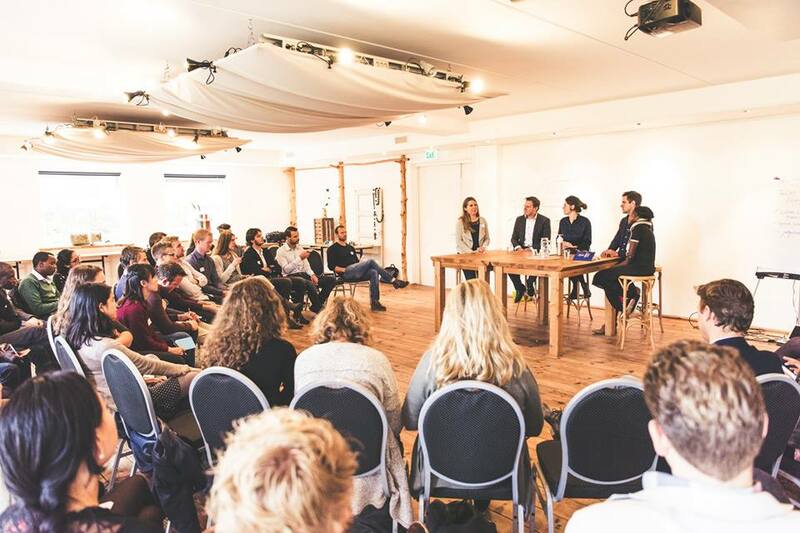 A summary of the Youth Leadership Academy at the Eemlandhoeve can be found here. The main themes and ideas of the day have been collected in a position paper aimed at Dutch policy makers. This Position paper has been shared with Dutch parliamentarians and policy makers of the national government. 1. Youth councils should be created within mixed cooperatives, and gender inequalities should be addressed to ensure the active participation of young women. The creation of youth-only cooperatives should also be facilitated. 2. Cooperatives should provide mentoring, guidance and advisory services to their young members, so that they can become leaders and farmer entrepreneurs, and can overcome constraints (e.g., through access to training, land and credit). 3. Cooperatives, governments and the international community should play a proactive role in raising the image/profile of agriculture. Cooperatives can be a platform for sharing/demonstrating farmers’ success stories, or linking young women and men to educational institutions and agricultural schools. The participants can use these points to further their goals as a young leader in a cooperative setting. We hope to hear from them in the future.